Where else but Newtown would you find a knitting café or a shop dedicated to buttons amongst some of the best vintage shopping in Sydney. Once the lonely end of town, south King Street is now dotted with wonderful boutiques, retro finds and cheerful cafés. Following up from our north Newtown shopping guide, here are our favourites south of Newtown station. Vintage lovers flock to this beautiful wooden-floored boutique for its mix of dresses, shoes and accessories. You won’t find any Supré hiding in the racks here, all vintage pieces must be at least 30 years old and have been carefully selected for their quality and classic design. Where would a retro wardrobe be without that fabulous fifties silhouette to match? Think corsets, garters and undergarments with a burlesque slant plus locally made jewellery, selected clothing and colourful opaque tights by We Love Colors. With its paint-peeling walls and attractive styling, this curated vintage newcomer is sure to become a firm favourite. Specialising in folksy styles, shop floral dresses for the girls and leather jackets for the boys. Filled with second-hand designer wares sourced from the US, sift through the racks to find dresses and acessories from labels like Marc Jacobs, Kenzo, Dior and Gucci. You’d better get in quick though because the store will be closing in a matter of weeks before relaunching later this year. Stocking a great range of well priced labels, this bright little boutique is the place to go for eclectic designer jewellery and acessories. Look out for fun acrylic pieces by cult UK label Tatty Devine, Japanese watches and recycled rubber necklaces by Marzio Fiorini. Small, colourful and stuffed with handmade delights, it’s easy to while away the time at Beehive Gallery. Running as a collective for local crafty types expect paper cards, quirky jewellery, leather bags and felted scarves as well as Japanese fabrics and specialties. There is no shortage of op shops along King Street but this Australian Red Cross store stands out with its nicely arranged change rooms and vintage chaise lounge for tired feet. All items are hand-picked from the thousands of donations received each year with a focus on retro styles for guys and girls. You’ll find scarves, clothes, shoes and books - and all at charity store prices. Afterwards head across the road to Correlli’s where they serve some of the best chai in town. Any favourite shops we’ve missed? 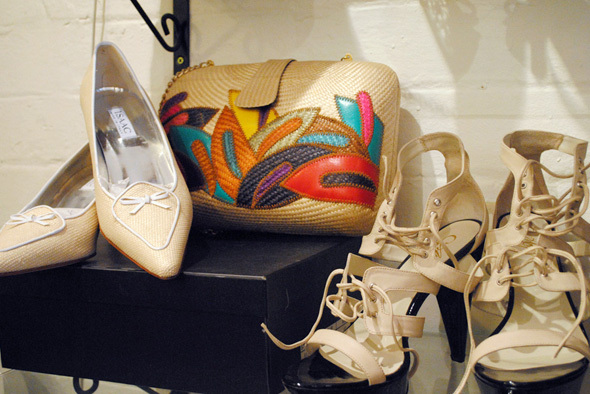 Check out our north Newtown shopping guide. Around 15 percent of my wardrobe would be selected from the racks of 359 King St. Each purchase either proceeded or followed by a long black at Correlli’s, waffles ain’t half bad either. High time the south side was given the respect it deserved. Be sure to wander all the way down the end of King street, you will happen upon the lovely South End Cafe (recently changed hands after a dodgy year… now getting back to its glory days) and pass by St Peters station for a lovely sit neaer the old brickworks smokestacks in Sydney Park! 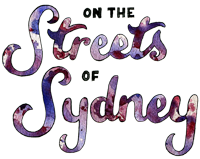 Some great fashion finds on the streets of Sydney! Also worthy of a mention are the handmade bags at Leo Monk (417 King Street Newtown) and the retro meow wear at Faster Pussycat (431a King St Newtown). Don’t forget to buy some buttons at All Buttons Great and Small (419a King Street Newtown). On the food side Bloodwood serves excellent Golden Cobra coffee and delicious share plates.